Observation - Obs 2 - UK and Ireland. Description: This is the same Hawthorne tree as Obs 1 but these branches had some fructicose lichens on it. They are light green/turquoise in colour. 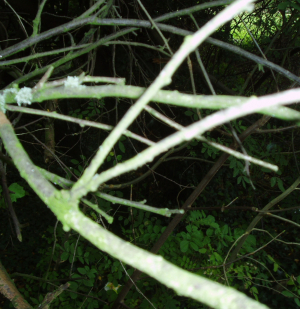 This is the same Hawthorne tree as Obs 1 but these branches had some fructicose lichens on it. They are light green/turquoise in colour.